From stunning estates to welcoming condo communities, find your perfect waterfront home in the Fenwick Island real estate listing below! Fenwick Island is really not an island, but rather, a thin strip of land at the southernmost tip of Sussex County, between the Atlantic Ocean and Assawoman Bay. Fenwick Island real estate includes beautiful new home communities, as well as charming older cottages and modern condos. With exciting nightlife activities available to the north and south, Fenwick Island properties tend to appeal to active retired people and young families wanting to enjoy Sussex's resort areas, while escaping to peace and relaxation at home. Discover what Fenwick has in store for you! Search the listings below to view all of the current real estate listings, or keep reading to learn more about the many Fenwick Island homes for sale and condos, right at the water's edge! Create custom searches, bookmark your favorite listings and get email alerts when homes in Millsboro matching your dream criteria hit the market. If you're in the hunt for a waterfront property, that's just what you'll find in the listings of Fenwick Island homes for sale. There are very few homes in this relaxed coastal community that don't offer direct water access. However, those that don't have an extremely short walk to the beach. Fenwick Island consists of a great variety of housing styles that have helped to establish the simple, no-frills charm of this quiet location. This area was largely developed through the 1970s and '80s, although many of the larger luxury homes were built more recently. There's also a great selection of one-story homes and bungalows that are ideal for those who are looking to downsize or struggle with mobility. Because these homes are located in such a desirable area, the housing prices tend to be a bit higher than in other areas along the Delaware coastline. That said, you'll be hard-pressed to find a community with as calm and quaint as Fenwik Island. Fenwick is one of a handful of places that allow visitors and residents the opportunity to enjoy inspiring sunrises in the morning and breathtaking sunsets in the evening, without ever leaving home. Fenwick Island, along with it's neighbors, North and South Bethany, are often referred to as Sussex County's "Quiet Beaches" due to their more family friendly, calming atmosphere. It is no accident that even in the summer months, Fenwick Island retains an easy going, calm style, in stark contrast to its neighbor to the south, Ocean City, MD. In fact, Fenwick was incorporated in 1957 by the State's General Assembly in order to keep nearby Ocean City's development from spilling over into Delaware, and forever altering the pristine shoreline of Sussex's unspoiled southern beaches. Not everyone wants to be near the hub of Delaware's beach entertainment and attractions. That peace and quiet can be found in two communities located further south than Rehoboth and Dewey. Often called the "quiet beaches," Bethany Beach and Fenwick Island are prime spots for retirees in Delaware. Indeed, Fenwick Island real estate is ideally suited for those seeking a quieter beach resort. A number of excellent homes exist in the region, with new developments and historic houses throughout both communities. 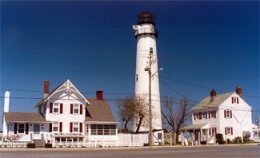 Fenwick Island is located right along Delaware Route 1, giving you convenient access to Rehoboth to the north and Ocean City to the south. To find out more about Fenwick Island homes for sale, get in touch with Mann & Sons today! Send them a message or give them a call at 302.227.9477 for more information and to request a tour.